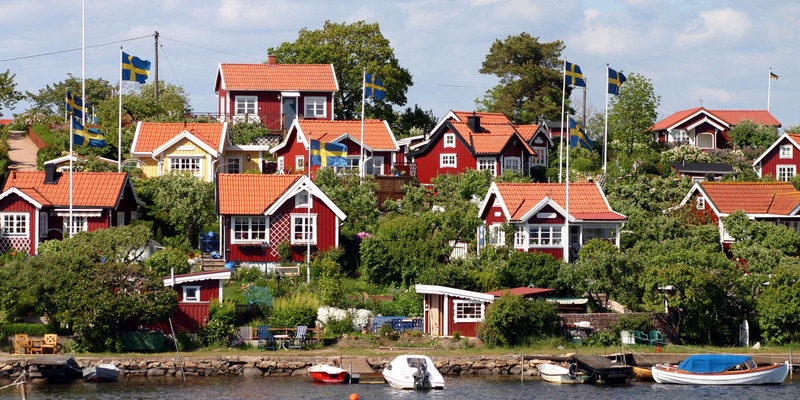 Brändaholm is called Sweden's most beautiful community garden and is often used as an embodiment of a typical Swedish idyll as a motif for postcards. The colony is located on a small promontory of the island Dragsö, about 3 kilometers west of the city center of Karlskrona. 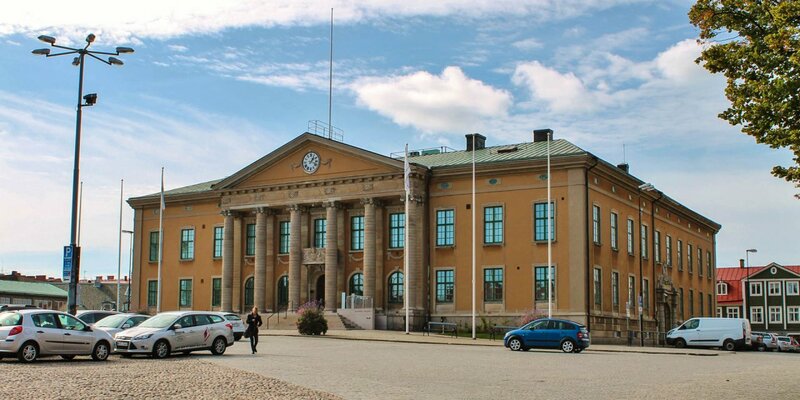 Although Brändaholm is located on an island, it is easily accessible by car because of bridge connections and it is one of the most visited travel destinations in Karlskrona. The community garden was founded in 1923 and consists of 45 small houses with gardens. None of the cabins may be larger than 32 square meters and the rule in Brändaholm states that all houses in size, shape and style must be similar. Walking through the village you can soak up the idyllic picture of the neat and beautifully designed old cabins and gardens, with the blue-yellow flags fluttering in the wind. It is not difficult to understand that the plots on Brändaholm are in high demand. Actually you need to be an inhabitant in the municipality Karlskrona to be able to buy one plot. But in fact it is so that the plots are usually inherited within the owner families or passed on and will rarely traded on the open market. The last free sale of a parcel of land with a cabin ended with a selling price of around 1 million crowns. The resulting price per square meter is similar to an apartment in Stockholm's exclusive Östermalm district. The history of the community garden began on Sunday, March 23, 1920, when a handful of men with a boat and building materials rowed from Karlskrona to Dragsö and erected a red house with white edges on Brändaholm within 12 hours. 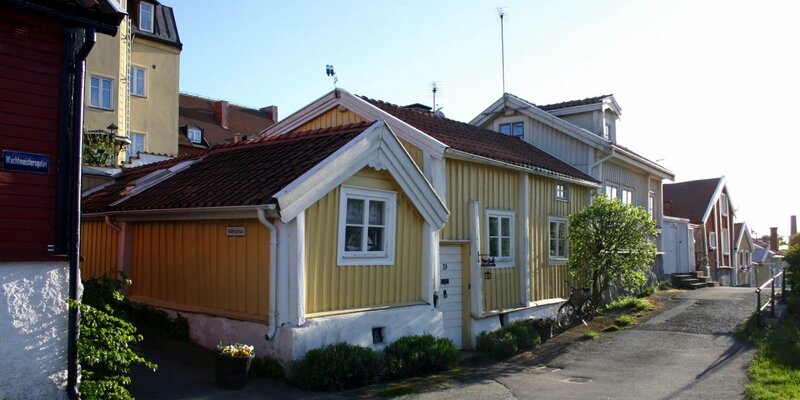 The city of Karlskrona planned to plant trees on Brändaholm and the men tried to prevent this by building the cabin. The experiment was successful and the action attracted public attention. 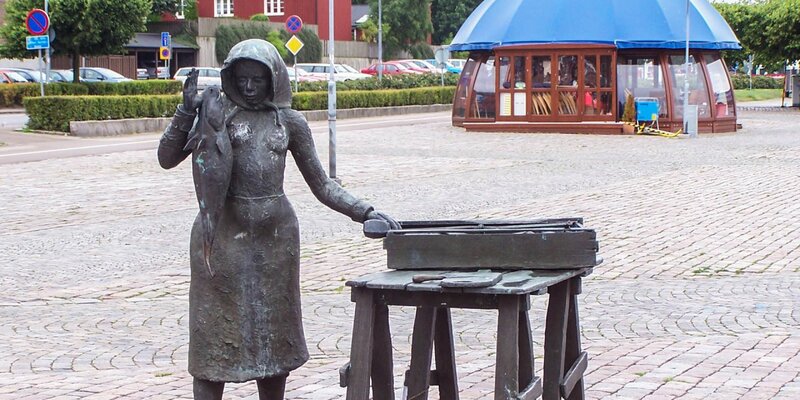 After three years of struggle, a contract between the allotment association and the city of Karlskrona were closed in 1923. 37 plots were given to residents from Karlskrona, in particular to workers to give them the opportunity to relax in the nature and to be able to grow fruits and vegetables for their own consumption.